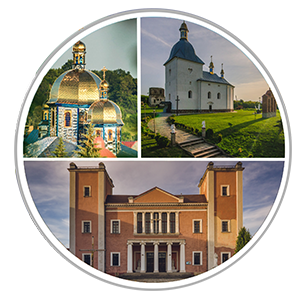 The historic town in the Ternopil region. Known since 1097. 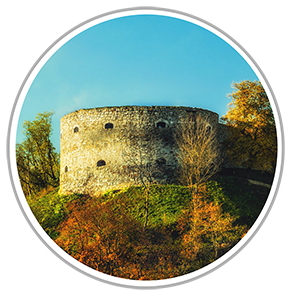 In 2016 was recognized as one of the winners of the "7 Wonders of Ukraine". The powerful locks on the impenetrable mountain, which have not fallen to the Turkish invasion, are still striking today by its power. In the small, cozy town and its surroundings, traditions of different Christian currents are combined. The many years old Orthodox and Greek Catholic churches, Catholic churches and modernist gospel houses of prayer – co-inhabit in the ancient territories of Terebovlia. 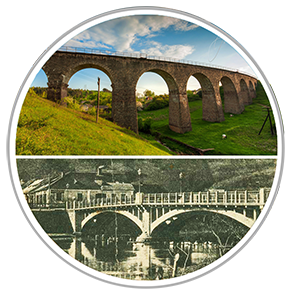 Several bridges and viaducts have been saved in Terebovlia and its surroundings, which are used for over 120 years.